The playing field behind a Florida middle school. Two girls plan the ultimate revenge on the school bully stealing their lunches... but nothing works out how they planned. 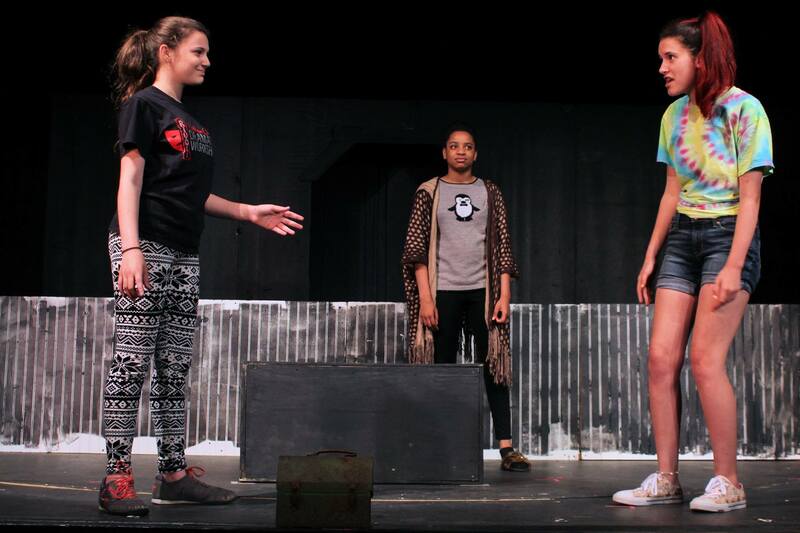 (L to R) Jayden Ramsey, Seriya Jorge and Hannah Veety in Snakes In A Lunchbox at the Sullivan County Dramatic Workshop. Photo by Wendy Ackerly. 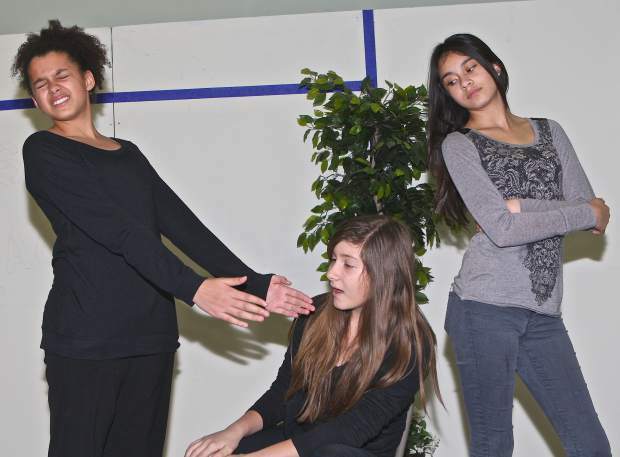 Snakes in a Lunchbox is a serio-comedy suitable for middle schools and TYA. 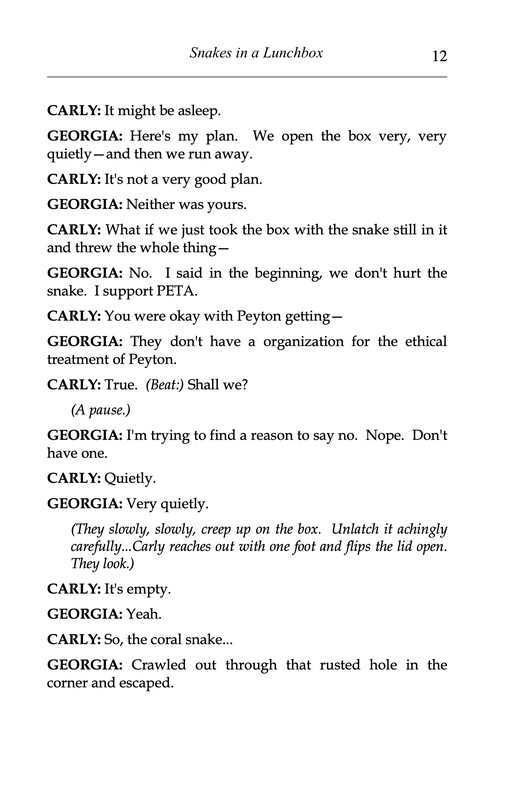 In the play, Carly and Georgia team up to get the best revenge ever in the history of ever against the school bully who steals their lunch, but they're not prepared for what happens - to them, to the bully, or to the dangerous snake they have hidden in a lunchbox. 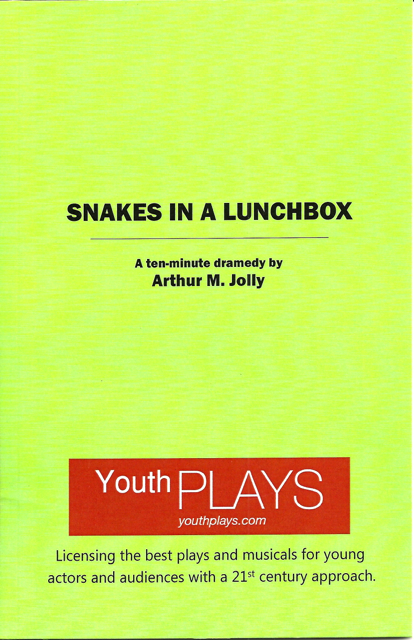 Snakes in a Lunchbox is available from YouthPLAYS for production. Read Peyton's monologue from the play. 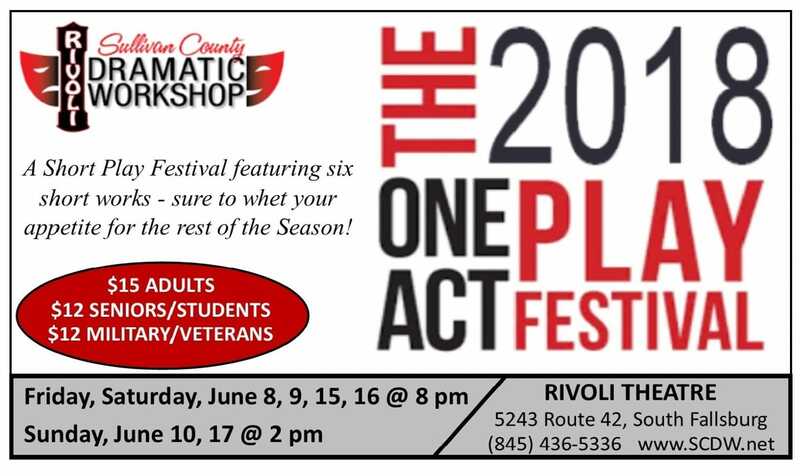 Contact YouthPLAYS about producing this one!